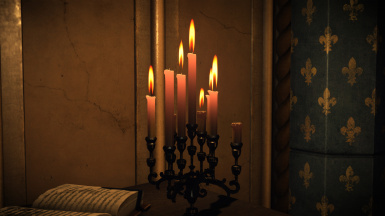 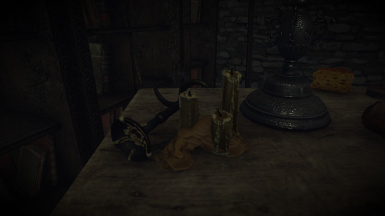 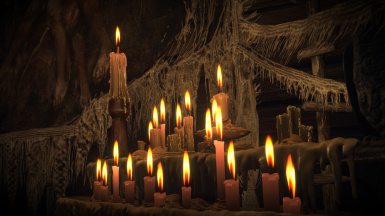 This is a mesh mod that changes all candles and many candle holders in game. 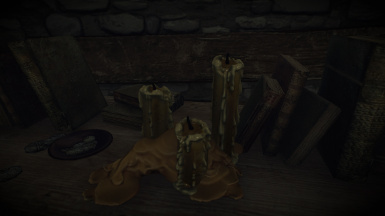 I have increased the poly count on most candles between 30,000 to 100,000 and added a displacement map to give it the depth. 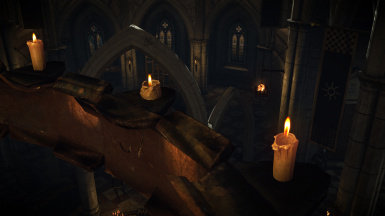 Overall this mod isn't very performance heavy. 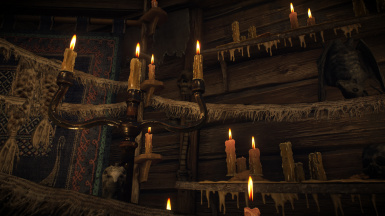 On high settings with GTX-970 ftw edition and 2560x1440 resolution I lose about 4 to 6 frames giving me about 30 fps in the Krones hut which is loaded with candles. 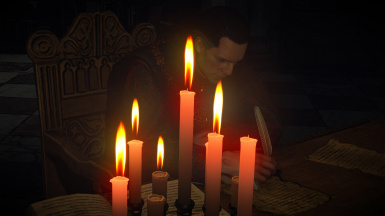 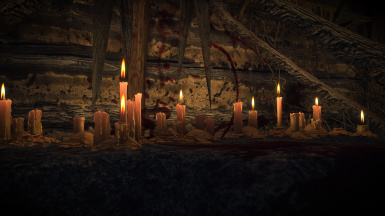 This mod is probably useless to most people and maybe isn't even that noticeable but the game is absolutely littered with candles so if you want to enhance those little candles than this is the mod.